Tickets go on sale at 11am Tuesday April 14th! Go to http://www.tribecafilm.com/festival/tickets/ to reserve your seat! With white Jewish lesbians for parents and two adopted brothers-one mixed-race and one Korean-Brooklyn teen Avery grew up in a unique and loving household. But when her curiosity about her African-American roots grows, she decides to contact her birth mother. This choice propels Avery into her own complicated exploration of race, identity, and family that threatens to distance her from the parents she's always known. She begins staying away from home, starts skipping school, and risks losing her shot at the college track career she had always dreamed of. But when Avery decides to pick up the pieces of her life and make sense of her identity, the results are awe-inspiring. Off and Running follows Avery to the brink of adulthood, exploring the strength of family bonds and the lengths people must go to become themselves. Off and Running has also been selected by the Tribeca Film Festival to participate in the festival’s Youth Screening Series. The series is a year-long presentation that serves NYC public schools students and teachers with access to free, relevant and challenging films. Each screening is followed by a discussion, Q&A or a workshop. A year ago we were a project of Tribeca All Access and we presented our work-in-progress to the Tribeca Film Fellows, a group of high school students who come together to learn filmmaking through intensive workshops and filmmaker mentorships. This year Nicole has been selected to be one of the Tribeca filmmaker-mentors to a Fellow during the festival. It's an honor to continue our service to this exemplary program! Off and Running has been selected for Diverse Voices Project III, P.O.V. 's initiative to support stories about diverse communities produced by emerging makers. DVP offers co-production funding and support, and will provide a platform for us to launch our national outreach campaign. The National Black Programming Consortium (NBPC) has awarded a post-production grant to Off and Running in recognition of the film’s celebration and exploration of black identity. Since 1979, NBPC has been a leading provider on American public television of quality, intelligent and compelling programming that celebrates the cultural heritage of African Americans and the African Diaspora. Preview our new website at http://www.offandrunningthefilm.com/ and link to see a trailer of the film! Stay tuned for our next newsletter announcing our festival line-up and our 2010 PBS national broadcast on the award-winning series, P.O.V.! Our audience engagement campaign is Off and Running! Emmy award-winning youth media hub Downtown Community Television has joined on as a national partner with Off and Running. We're jumpstarting our youth media focused collaboration with a workshop on April 15th. The Off and Running team will work with the PRO-TV producers to leverage media for outreach programming. COLAGE is a national movement of children, youth, and adults with one or more lesbian, gay, bisexual, transgender and/or queer (LGBTQ) parents which seeks to build community and work toward social justice through youth empowerment, leadership development, education, and advocacy. Be'chol Lashon (In Every Tongue) grows and strengthens the Jewish people through ethnic, cultural, and racial inclusiveness, advocating for the diversity that has characterized the Jewish people throughout history, intermarriage, conversion and adoption. Spence-Chapin works to provide adoption and adoption-related services of the highest quality by focusing on finding adoptive homes for infants and young children who need families, promoting the understanding of adoption through counseling and public education, and improving adoption's image and practice. The Interfaith Youth Core aims to introduce a new relationship, one that is about mutual respect and religious pluralism. The Interfaith Youth Core is inspiring, networking, and resourcing young people, as well as providing leadership training, project resources and a connection to a broader movement. 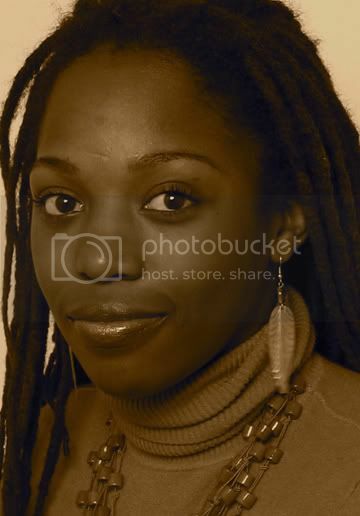 Producer Sharese Bullock is a 2009 New Media Fellow! At NBPC's New Media Institute this past February in Atlanta, she strategized ways to integrate multimedia technologies for Off and Running's audience engagement campaign. We are embarking on a year-long outreach campaign tied to our film festival tour and will need to raise funds for related activities. Volunteer- Off and Running welcomes volunteer support in graphic design, outreach support and community engagement activities. O&R Executive Producer Macky Alston's film HARD ROAD HOME recently aired on the PBS series Independent Lens. Sundance award-winning film CURTIS is currently airing as part of PBS's Reel New York series. O&R Composer DBR featured in May 2008 Issue of Esquire Magazine in a special feature article entitled "The New Faces of Classical Music". O&R Director Nicole Opper is selected for the HEEB 100: "a roundup of young, smart and innovative Jews." At sixteen, Avery sent a letter to the Texas adoption agency that found her a home when she was a baby, asking them to forward the letter to her birth mother. Six months later a phone call came from the agency: her birth mom received the letter and wanted to talk. We follow the challenging journey that ensues while exploring Avery's life at home in Brooklyn as the adopted daughter of white Jewish lesbians, with an older Puerto Rican brother and a younger Korean brother. Off and Running (O&R) lays bare assumptions about race, religion, and what makes a family, and presents the intimate journey of a young American woman coming of age. It's official- O&R has been awarded funding support from a tremendous force in independent and social media, the Independent Television Service (ITVS). From the welcoming and comprehensive orientation in January 2008 to consistently thoughtful production and creative support, ITVS has provided a wellspring of foundational support. We are honored to be among the select few documentaries chosen for licensing in Fall 2008. ITVS has already found great value in O&R, using our trailer and narrative proposal to illustrate excellent visual storytelling and writing in academic and industry events. ITVS brings to local, national and international audiences high-quality, content-rich programs created by a diverse body of independent producers. ITVS programs take creative risks, explore complex issues, and express points of view seldom seen on commercial or public television. ITVS works closely with co-producing partners, including PBS stations, international production companies and the CPB, presenting Emmy, Peabody, and Academy Award winning projects. Thanks also to our generous supporters, the Foundation for Jewish Culture, the Puffin Foundation, and to our fiscal sponsor, Women Make Movies. Insider industry meetings, energized panelists, award-winning filmmakers, fabulous parties- the O&R team enjoyed an "all-access" experience at the Tribeca Film Festival 2008 as a selected project of Tribeca All Access. Tribeca All Access provides participating directors and screenwriters with workshops and the opportunity to present their upcoming works in one-on-one meetings with potential investors, development executives, producers and agents. Best of all, TAA has created a phenomenal network of creative leaders- the O&R team is proud to be a part of this brilliant community. O&R was one of 16 documentaries selected from a pool of 550 film entries from across the country. As part of our early outreach with the youth media community, the O&R team presented a work in progress screening and talk with the Tribeca Film Fellows, twenty-two NYC teenage filmmakers, to launch their early outreach with the youth media community. After showing the trailer, the youth engaged in an interactive conversation about identity politics, adoption and family, which the O&R team also filmed. We will continue these work in progress youth screenings to inform key outreach practices and resource creation on a bi-monthly basis. We're also thrilled to have Listen Up Youth Media Network as an official partner of O&R. We look forward to collaborating with Listen Up to bring authentic youth voice and participation to the project. Every member of this team has a passion for bringing youth voices to a larger audience. In addition to making our own films, the director of photography, the editor, the producer, and the director all work as mentors in New York City's youth media field. Our experience with youth deeply informs our approach to this story and our portrayal of Avery, her siblings, and her friends. Not one of us alone reflects Avery's unusually diverse experience but we each hold up a mirror to some aspect of it. "What an awesome honor to focus on a project, a story and voices so rarely shared with the world- Avery introduces the world to an intelligent and visionary family. O&R is already creating waves of discussion from multicultural identity formation to adoptive rights- I know this story will encourage many more." Known for fusing his classical music roots with a myriad of soundscapes, Haitian-American artist Daniel Bernard Roumain (DBR) has carved a reputation for himself as a passionately innovative composer, performer, violinist, and band leader. His exploration of musical rhythms and classically-driven sounds is peppered by his own cultural references and vibrant musical imagination. As a violinist and performer, DBR has worked with Philip Glass, DJ Spooky, Vernon Reid, Savion Glover, Susan Sarandon, Cassandra Wilson, and many others. We are thrilled that he will compose the original music for O&R. Adoption is changing the nature of family life in America, yet misconceptions still abound about transracial adoptive families such as Avery's, and there is certainly negative speculation about how gay and lesbian-parented families fare. O&R explores this reality through Avery's daily encounters with people who never thought it possible to intimately know so many different cultural worlds. Of course, by virtue of inhabiting multiple worlds, she also faces the frustration of feeling as though she doesn't belong to any of them. I met Avery seven years ago and through her I wanted to learn all that I could about the realities of gay and transracial adoption, and about that bold, fearsome and inspiring moment when adopted young people decide to go in search of their roots. As my friend, subject, collaborator, student and teacher, Avery offers up her most candid lens to this experience, and it is a privilege to be able to share it with you.